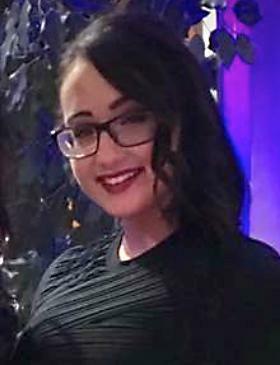 Friends of Hailey Allard, the UMass-Dartmouth student who died after a collision with a police cruiser in Somerset early Friday morning, plan to hold a candlelight vigil to remember her at 7:30 p.m. Friday. Ali Shaw, one of Allard’s friends, said the vigil would be held at the stop sign near 1027 Riverside Ave., next to the site of the crash. On Friday afternoon, Shaw and others laid flowers and framed photos at one of the stop signs at the intersection. 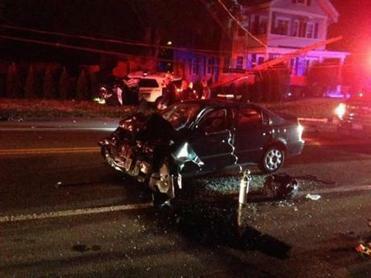 The collision happened at 12:35 a.m. Friday, as Allard tried to make a left-hand turn off Route 138, officials said. Allard collided with a Somerset police cruiser who was responding to a report of a break-in at a truck parked at the Gridiron Pub on Slades Ferry Avenue. Allard was rushed to Charlton Memorial Hospital in Fall River, where she was later pronounced dead. A Somerset Police Department cruiser and a sedan collided early Friday as the cruiser was responding to an emergency call. The officer was taken to Rhode Island Hospital, where he was treated for non-life-threatening injuries and released, according to a post on the Somerset police Facebook page. The crash is under investigation by Bristol District Attorney Thomas M. Quinn’s office, State Police, and Somerset police. Thomas Oide can be reached at thomas.oide@globe.com. Follow him on Twitter @thomasoide.